Part 1: When We’re Not at Camp! We think we have the best job in the world. We’re camp directors who get to spend our summer months on a beautiful lake where our focus is helping kids connect with one another. And people love to ask us about what we do. The number one question we get is, “But what do you do the REST of the year?” A lot of camp directors joke about this, as the rest of the world seems pretty universally confounded by this mystery! People frequently think that our camp jobs are just seasonal and that we have a different job during the year. The fact is that running a summer camp is very much a full-time, year-round career. In fact, most camps that we know have a number of people working hard for them throughout the entire “off-season”. Camper Recruitment: Camps can’t exist without campers, and so we need to let families know who we are and what we’re all about. We spend a great deal of time on the phone speaking with parents and sharing with them the amazing benefits of camp: building friendships, learning life skills like making their own beds, independence, self-esteem, valuing community, fun, etc. Staff Recruitment: We need to hire staff to work with all of the amazing children who come to camp in the summer. 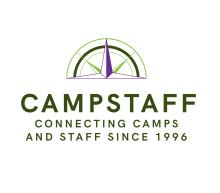 We make connections with colleges and universities in an effort to educate prospective staff members about the value of camp for THEM: real-life child development training, social connections, leadership opportunities, a chance to see a different part of the country/world! We review applications and conduct multiple interviews with each candidate and then speak with references, conduct background checks, etc. Program Development: We’re constantly trying to develop creative programming that will help campers learn new skills and also encourage connections with their peers. Camp is about having fun and learning how to play a sport or create a piece of art but, at it’s core, it’s really about helping children learn how to be their best selves, to be good humans and to be kind. When we spend time thinking about this and are intentional, we can create a program that facilitates all of this deeper growth. Site Management: For directors who run a camp program on a stand-alone site, we also spend time managing the buildings and grounds. We need to make sure snow is not piling up on roofs and creating a hazard. We ensure that program areas are up to code and safe. We keep the site updated and “fresh” and often spend time building NEW spaces to ensure new programs are housed in an appropriate space. So, yes. We stay busy 365 days of the year! We are lucky to do what we do and love that every day brings us new challenges and exciting opportunities. After all, we get to go to camp every summer and spend every day with amazing children and our fabulous team of staff members!